Given SEO is a recent phenomenon, many SEOs stumble into SEO from some other discipline or career. Attend any SEO gathering, and you'll find ex-coders, designers, sales people, lawyers, entrepreneurs, techies and people from all manner of backgrounds. SEO talk often centers around the arcane technical aspects of the craft, such as tagging, linking, keywords, density and ranking. However, in terms of function, SEO is most closely related to marketing. Like marketing, SEO is about getting your message, product or service in front of people, and having them visit your site, and taking action. If that doesn't happen, an SEO campaign is near worthless. By grounding an SEO campaign in proven marketing strategy, you can not only out-rank others, but also lead visitors to do exactly what you want them to do. Like SEO, marketing is part art, part science. Even if you cover all the technical aspects of SEO, that is no guarantee of ranking well. Ranking well has a lot to do with being interesting enough to link to, and influential and visible enough to attract attention in the first place. Likewise, there isn't a set of marketing specific marketing rules to follow. They will vary, depending on the niche you target. This is why it is important to understand the ideas behind them. Ask "what does the consumer need?" How many consumers need this product/service? You must fulfill a need. If there is no need for a product or service, the SEO strategy will fail. You might get rankings, but rankings without traffic that can be converted into desired action - i.e. a sale, a click, a sign-up - are worthless. How do you find out if there is a need? Undertake market research. Market research falls into two categories: primary and secondary. Primary research is conducted from scratch. Typically, this means interviewing people and gathering information and collating that data. Secondary research is where the data has been collected for other purposes. You can obtain surveys and reports, and adapt them to your needs i.e. government census data. Don't just look at search volume, but also consider the intent behind the keyword, how you would monetize that demand, and the visitor value. Watch what companies are advertising? How they are positioning themselves for growth? what is IBM focused on? how does that sync up with Google's efforts (here here here and here)? Did you know there are areas of the economy that are still growing today, with employment growth projected for a decade to come? Humans have been irrational as long as there have been humans. Have plenty of spare capital? Be a contrarian investor. Think out a couple cycles and try to buy assets that are currently undervalued and unappreciated by the market. Think of parallel markets. Offline retail spending is shrinking quickly, with tons of bankruptcies. Where will that create opportunities online? Keyword research is a rough indicator of need. For example, approximately 130K queries per month indicates there is a reasonable need for "Britney Spears pics". But this is the point where a lot of those new to SEO slip up. The SEO wants to create a site that will sell Britney Spears pictures - no doubt you've already spotted the flaw in this plan, which we'll discuss shortly. The SEO has conducted some basic research, in the form of keyword research, using the Google Keyword Research tool, or any number of keyword research tools. There is a lot of "need" for Britney pics. 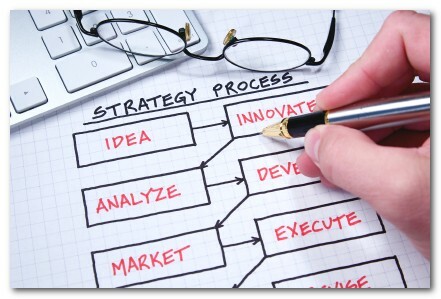 The first two steps of the strategy - what is the need, and how many people have this need - appears to be fulfilled. The SEO acquires a lot of Britney pictures, sets up a site, and ranks well for Briney pics related keyword terms. There are various reasons, but fundamentally the SEO failed to ask "what is the buy process?" Had the SEO considered this aspect, he would have realized people don't actually buy Britney pictures. People just look at them for free, because there are a lot of places to get Britney pictures for free. A buy process simply doesn't exist, except in the b2b market between paparazzi and gossip magazine publishers. That's obvious, right. But it applies to any SEO niche research. Seek to understand the buy process of those with the need, which will help you decide if a market is worth ranking highly for in the first place. What makes someone buy something? Will they buy it online? Are they capable of buying something over the internet? In this example, the webmaster may choose to run ads instead. Again, this will likely meet with limited success, because people looking for Britney Spears pics aren't likely to be in a buying process, and so advertising, such as Adsense, will be priced accordingly. Such traffic is near worthless. Such a site might attempt to sell a closely related service, such as a subscription to gossip magazines, or music, or clothing. This is probably where this idea would end up. The one caveat is using this approach to drive brand awareness. Again, the SEO still needs to consider the buy process. What is the visitor really buying? An idea? A solution to a problem? Information? Awareness? We'll get into the economics of such questions over the next few days. This is why SEO, like marketing, is a mix of science and art. There is science involved in ranking well, and there is art in knowing which terms are worth ranking for, and why.